Almost ten per cent of whales, dolphins, and porpoises examined as part of a new Irish study were found to have plastics in their digestive tracts. The study published in Environmental Pollution found that 8.5 per cent (45 individuals) of Irish cetaceans tested had marine debris in their stomachs and intestines. Deep-diving offshore species such as True’s and Cuvier’s beaked whales ingested more plastics than individuals from coastal or pelagic species. Data compiled from 1990-2015 on cetacean stranding and bycatch in Ireland was analysed in the study, with post-mortem examinations carried out on 528 digestive tracts from 11 species. If the study had only examined stranded cetaceans, the information may have been biased as these individuals could have been sick and therefore more likely to ingest marine debris, the researchers said. The results indicate a much higher incidence of marine debris that reported in other parts of the world but this is likely due to the scale of the study, the largest of its kind to be conducted to date. Plastic bags, ice cream wrappers, fishing hooks and even shotgun cartridges were also recorded in the post mortem examinations. The research was carried out by Galway-Mayo IT and University College Cork in collaboration with the Irish Whale and Dolphin Group (IWDG), who sourced the subjects for the study. Dr Simon Berrow, Chief Science Officer of the IWDG and co-author on the study, said that large marine debris is now “widespread and consumed by nearly 10 per cent of those individuals studied”. 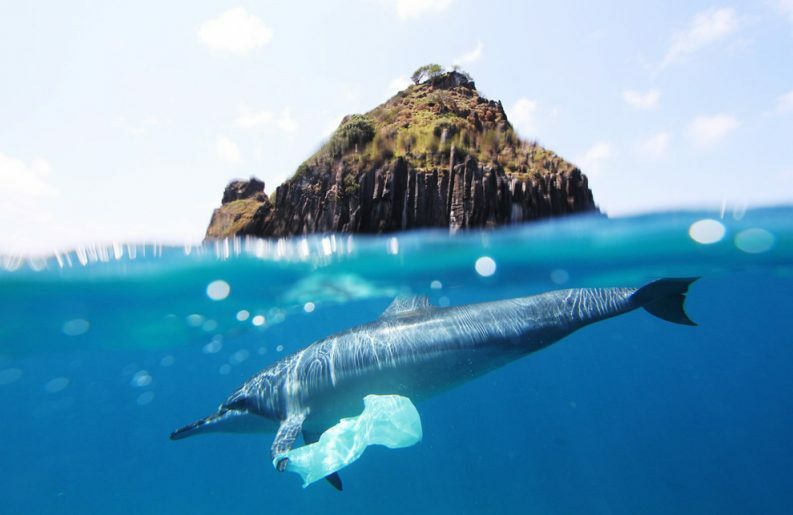 The study adds to the mounting evidence that plastics are negatively influencing biodiversity with one million seabirds and 100,000 marine mammals estimated to be killed each year due to ingestion and entanglement. Global plastic production has increased 190-fold between 1950 and 2015 and it is thought that plastics in the ocean will outweigh fish by 2050. 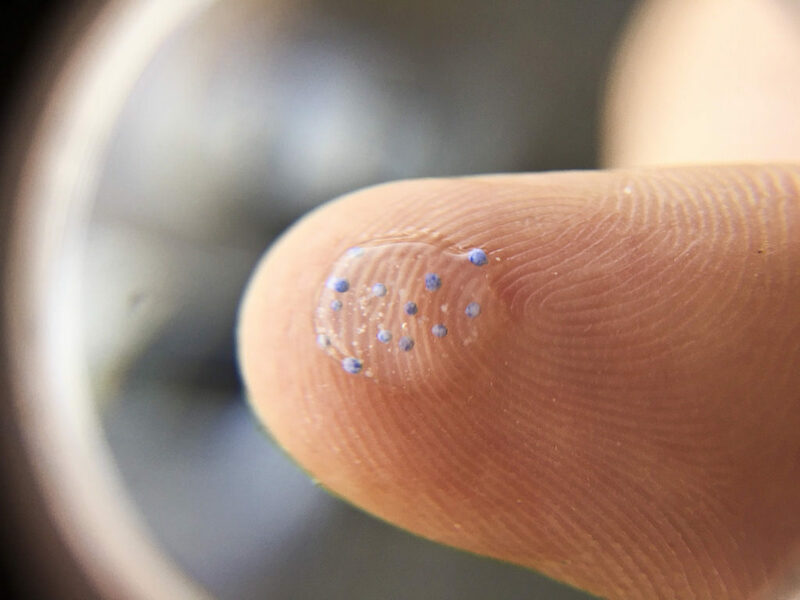 All individuals (21) examined for microplastics in the study were also found to contain at least one microplastic, according to the researchers. The fact that microplastics were found in all whales, dolphins and porpoises examined demonstrate that these pollutants are now “ubiquitous in the marine environment”, Dr Berrow said. Larger marine debris has been shown to cause medical complications for cetaceans and can lead to death. However, the impact of microplastics on whales and dolphins is not known. Microplastics are tiny plastic granules, pellets, fibres, and fragments less than 5mm in diameter and are often as thin as a human hair. In a recent study covering more than 12,700 km of the north-east Atlantic, Dr Amy Lusher found that more than 90 per cent of samples captured contained plastics. Analysis of the samples indicated that 89 per cent of the captured plastics were in fact microplastics, the majority of which were fibres rather than microbeads. A ground-breaking Environmental Protection Agency (EPA) report published in June revealed for the first time evidence on the sources and scale of microplastic pollution in Ireland’s freshwater system. One of the largest point sources of microplastics was identified in the report as urban wastewater treatment plants, receiving microplastics from a number of different sources. The study also identified over 20 different species of molluscs, fish, birds, mammals and crustaceans that are potentially at risk from microplastic pollution, many of which are endangered, such as the freshwater pearl mussel.